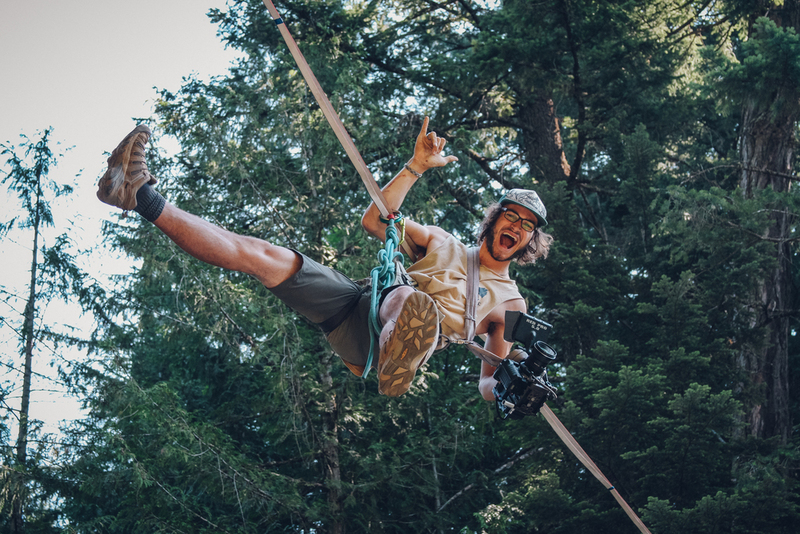 Spencer Seabrooke is a master of the arial balancing art form known as Highlining. He is one of the few highliners in the world that is truly pushing the sports boundaries into uncrossed territory. Untethered follows Seabrooke as he passionatly grows a community of Highliners in British Columbia. The film offers a rare glimpse into the lives of people who do what most couldnt even imagine. Michael, one of the main characters in the film, sharing some stoke before heading out on a highline. Every weekend people from all walks of life head together into the mountains, with one unifying goal. They come together to test both their mental and physical limits by walking slacklines stretched between massive gullies. 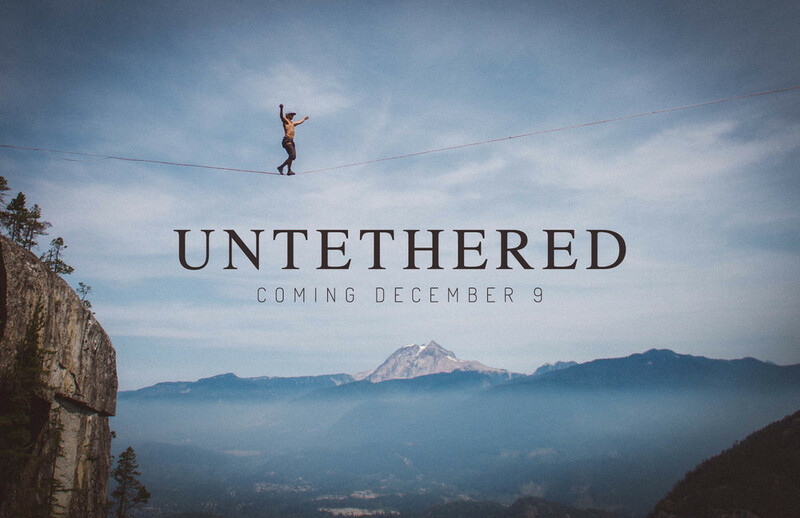 Untethered is a film covering ground that has previously been left untouched. This progressive documentary gives a rare glimpse into the mind and life of someone practicing a craft with the highest stakes imaginable. That’s the common question Highliners receive from bystanders who happen upon their mountain top playgrounds. The answer is Yes… Most of the time. There is one highliner in particular who has a knack for walking these slacklines without a tether. His back up being his arms and legs. That man is Spencer. He has progressed his abilities to a level few can even begin to wrap their minds around. Spencer has pushed himself to have complete mind and body control in order to conquer the discipline of free-solo highlinging. This film follows Spencer and his closest friends on the journey of a life time. 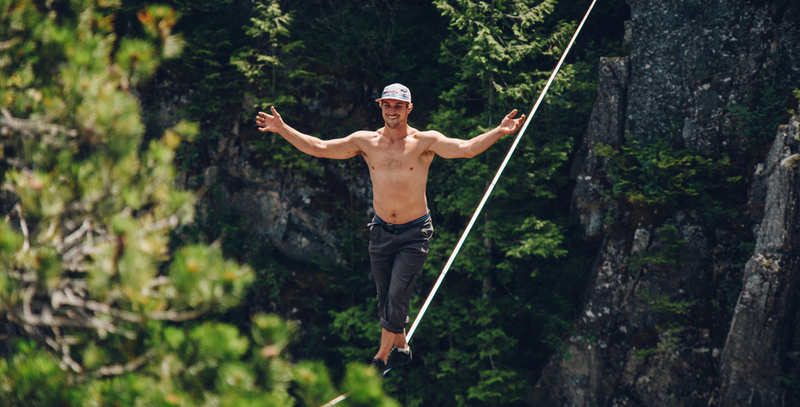 This summer Spencer became the first man in almost four years to extend the length of the World Record Free-Solo highline walk. Yet It’s about so much more than breaking a record. It’s about pushing the boundaries of human experience. It’s about testing the limits your limits. It’s about forming a community centred around a passion for exploration. Untethered Gives You a Ride of a LifetimeThis film is an unparalleled journey into the world of highlining. A story that will leave you captivated till the very end and have you still hungry for more. Untethered is sure to inspire the progression of personal limits and motivating viewers to reach higher for what life has to offer. This film will be launched in December on Vimeo entirely for free. I have toiled over the crafting of this project and I cannot wait to share the experience with you. You can join the Leftcoast Collective to receive weekly behind the scenes value on the creation of this project. I send out an email every Thursday to those in the collective. What are you waiting for?